After the estimated 50,000 mourners and observers left Potočari for their destinations all over Bosnia and abroad, the annual activities commemorating the genocide continued on July 13. For the third year, buses carrying the representatives of three family associations—the Women of Srebrenica, the Association of the Mothers of Srebrenica and Žepa, and the Srebrenica Women— visited six locations in the municipality where some of the worst crimes of the Bosnian war took place. Three buses started the day from Sarajevo, Tuzla, and Srebrenica, respectively, and met in the eastern Bosnian village of Konjević Polje before embarking on a journey to the sites where prayers were recited and wreaths of flowers were laid in honor of those who “didn’t arrive” (nije došao) fifteen years earlier. For the passengers, the distance between the crime scenes made it evident just how well planned and coordinated the executions of the Srebrenica genocide were. Some of the locations were carefully hidden from the road, far away from the blue-helmeted peacekeepers in the country at the time. Other sites, however, were right in the middle of small villages, close enough for local residents to be aware of what was taking place. The political elite in Republika Srpska recently bolstered its effort to deny the forethought and planning that led to those crimes. RS Prime Minister Milorad Dodik, in a brazen defiance of the findings of the International Criminal Tribunal for the former Yugoslavia (ICTY), said on July 12, 2010, that he “didn’t believe that genocide occurred in Srebrenica.” Perhaps more importantly, as 2010 is an election year, Dodik’s words reflected a political program intent on keeping as much power as possible at the entity level and elevating ethno-religious identity as the defining feature of citizenship. Only six years ago, the President of Republika Srpska, Dragan Čavić issued an apology to the victims. Since then, the political winds had shifted dramatically. Čavić recently told the Bosnian press that in the current climate it seemed like he had spoken in 2024, not 2004. International judges, however, have definitively decided that the events in Srebrenica were genocide; two international courts – the ICTY and ICJ have ruled regarding the atrocities of July 1995. The ICTY, weeks earlier, found two perpetrators, Vujadin Popović and Ljubiša Beara, both members of the Army of Republika Srpska (VRS) guilty of genocide in a trial that had seven defendants. Both were given life sentences. The sites visited on July 13 were outlined in the latest judgment of the international court: the Kravica warehouse, Grbavica primary school, Petković primary school, Petković “dam,” Branjevo farm, and Pilica cultural center. Yet in Bosnia, prime minister Dodik openly challenged such judgments. He turned to another weapon in his arsenal, one that had effectively stirred up fear through strategic misinformation during the war: his constant access to the Bosnian press. Spokesmen for the ICTY could not actively counter this local strategy, and the international judges, being a conservative group, resisted discussion of court decisions as a means to set the record straight. In direct contrast to the formal comments of the RS political elite that diminished the seriousness of the crimes, the women’s visit to the crime scenes kept the places of the genocide in the media spotlight. The act of visiting these sites was even more important given that the effort to deny the crimes in Srebrenica had increased in recent years. But the journey was also incredibly taxing on these survivors and served as a further reminder that the war was not over for them. In Bosnia, the struggle over the truth about Srebrenica has pitted a government bureaucracy (the RS) with considerable resources against a vulnerable population, mostly women, who fight with a passion that comes only to individuals who know they are owed the truth. In some of the sites visited that day, the pain caused by that struggle was palpable. At the Petković dam, the women found shell casings and bones in the rocky field. Many pocketed the gruesome artifacts as souvenirs from the site of genocide. Unlike on July 11, this was a pilgrimage that offered no final sense of accounting for the survivors; many of those present had yet to find and identify the remains of their loved ones who were still in mass graves yet unearthed. The last stop of the day was the Pilica cultural center, where approximately 500 Bosniak men were executed on July 16, 1995. It was the only building among the sites visited which the survivors were allowed to enter. Trash littered the building’s threshold. Inside an overwhelming sense of evil hung in the dank air; bullet holes covered the walls, and large pieces of the center’s roof dangled from the ceiling. Dried flowers from the visit the year before sat at one end of the room. Nothing identified the building as a site of mass atrocity. On the contrary, the building was in a state of decomposition–a facility rotting away and, with it, the promise that it would continue to give witness to the crimes committed between its four walls. In the front of the center, support for a different narrative had been erected over the previous year. Literally next to and on top of a World War II monument for Tito’s Partisans, local officials had put up a memorial to the VRS soldiers who perished between 1992 and 1995. The cultural center was in the background, only a few meters away. July 11 typically captures the international imagination as the most important event of the year addressing the 1995 genocide. 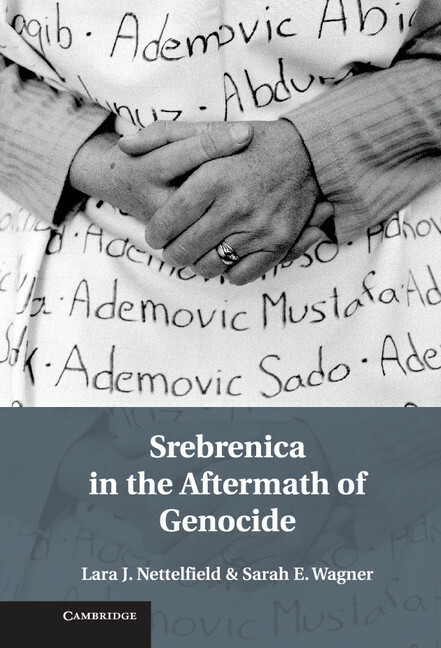 All of the events surrounding that day, however, highlight Srebrenica’s complicated legacy. The Marš mira is an attempt to memorialize through community; it is a pilgrimage that retraces the story of Srebrenica and invites a sense of understanding of the events through shared, enacted experience. For those burying their family members, July 11 is dedicated to giving a final resting place to those initially denied such a basic right. July 13 was a reminder that these crimes continue to impact the daily lives of the survivors, and that marking these sites of violence is an important effort to counter denial.